People who care for people play a vital role in our communities, whether in intimate family circles, larger social networks, or the wide array of helping professions in healthcare, education, social justice, and more. Often it is caregivers who support the front lines of our society: helping those who face challenges on a daily basis. However, this support can come at a high personal cost, leading to frustration, exhaustion, and a fast track to burnout. How do we balance the desire to help others with our own needs? How do we have compassion for ourselves as well as others? How do we infuse our actions with the wisdom that we must do our best while honoring that we’re not in control? Sharon Salzberg and The Holistic Life Foundation offer a weekend retreat exploring the immense resilience of the human spirit, and how to find greater balance when serving others. Recharge physically, mentally, and emotionally in a community of caretakers from all walks of life with meditation, yoga, and contemplative practices. Join us for a restorative weekend retreat to develop the skills needed to move towards deeper care, both for ourselves and for others. No prior meditation or yoga experience is necessary to attend. 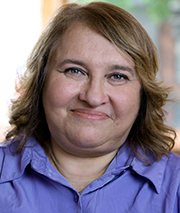 Sharon Salzberg is a central figure in the field of meditation, a world-renowned teacher, and NY Times bestselling author. She has played a crucial role in bringing meditation and mindfulness practices to the West and into mainstream culture since 1974, when she first began teaching. She is the co-founder of the Insight Meditation Society in Barre, MA and the author of nine books including NY Times bestseller, Real Happiness, her seminal work, Lovingkindness and most recently, Real Love. Renowned for her down-to-earth teaching style, Sharon offers a secular, modern approach to Buddhist teachings, making them instantly accessible. She is a regular columnist for On Being, a contributor to Huffington Post, and the host of her own podcast: The Metta Hour. For more information, visit SharonSalzberg.com. 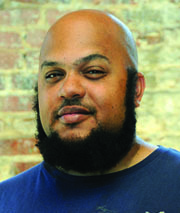 Ali Smith co-founded the Holistic Life Foundation in 2001, where he currently serves as Executive Director. He is a native of Baltimore, Maryland and graduate of the Friends School of Baltimore and the University of Maryland, College Park. He has over 12 years of experience teaching yoga and mindfulness to diverse populations. Through his work at the Holistic Life Foundation, he has developed and taught yoga and mindfulness programs to at-risk youth at drug treatment centers, juvenile detention centers, alternative high schools, mental crisis facilities, and in many other underserved communities. 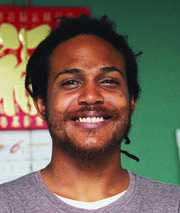 Atman Smith is a Co-founder of the Holistic Life Foundation, where he served as Director of Youth Programming for ten years and currently serves as the Director of Fundraising. A native of Baltimore, Maryland, Atman is also Co-Founder and Co-CEO of For the People Entertainment. For the past eleven years, Atman has been teaching yoga and mindfulness to a diverse population including underserved and high-risk youth in Baltimore City Public Schools, drug treatment centers, wellness centers, and colleges. 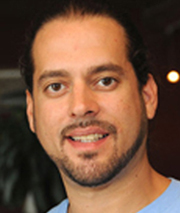 Andres Gonzalez, MBA is a trained and certified yoga instructor. He is the Co-Founder and Chief Financial Officer for the Holistic Life Foundation. He is also Co-Founder and Co-CEO of For the People Entertainment, LLC. Andres has been practicing and teaching yoga for the past ten years to a diverse population, including Baltimore City Public School students, drug treatment centers, wellness centers, colleges, and other various venues. 530.00 Total Fees by Room Choice.